If you’re looking for the perfect hairdo that always looks neat and tidy, then it’s time to flat twist your hair. This hairstyle works especially well for those who want to look more professional and well put-together. Should you flat twist your hair? It completely depends on the look that you’re going for. If you’re always on the go and want an easy do, then yes- flat twist are perfect for you. This hairstyle will compliment any work or school outfit and can also be done for events and other functions. 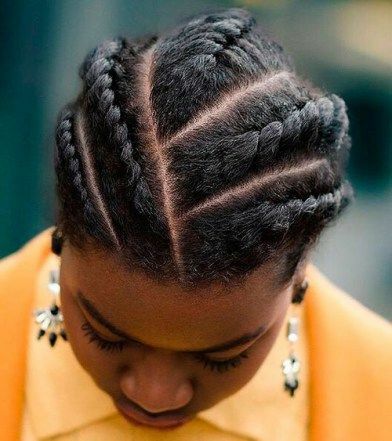 Another way to determine if flat twists are for you is by asking yourself if you want to look more refined. If the answer is yes, then this hairstyle will not only compliment your style but your personality too. Getting this look might look difficult, but once you get the hang of the method it’s fairly simple. Before starting, ensure that your hair is washed, but do not use any additional at this point. Next, brush through the hair with a comb to untangle and take out and knots. Apply your favorite moisturizing conditioner to your hair. This step is particularly important if you have dry and damaged hair. Spray the hair with a little water to incorporate the product evenly, so that the hairstyle can easily be achieved. After applying the moisturizing conditioner continue brushing the hair so that its completely smooth. Once the hair is fully knot free, the process can begin. Take a portion of hair from the front right side of the head and simply split it into two sections. Once you have the two sections flat twist the hair. This involves using your right/left index finger to carefully pick a few strands of hair from the scalp. Next, cross it over and continue with this until just before the tips of the hair. This is vital to achieving perfect twists when doing your hair. Be certain to tightly incorporate each piece to avoid any strands of hair from coming out. However, it’s still important to remember to be gentle with the hair and not tug at it. Tugging and pulling the hair could lead to damaged hair. Once your twist has passed the head/ scalp move on to a simple two strand braid. Continue tightly braiding the hair until you reach the hair tips. 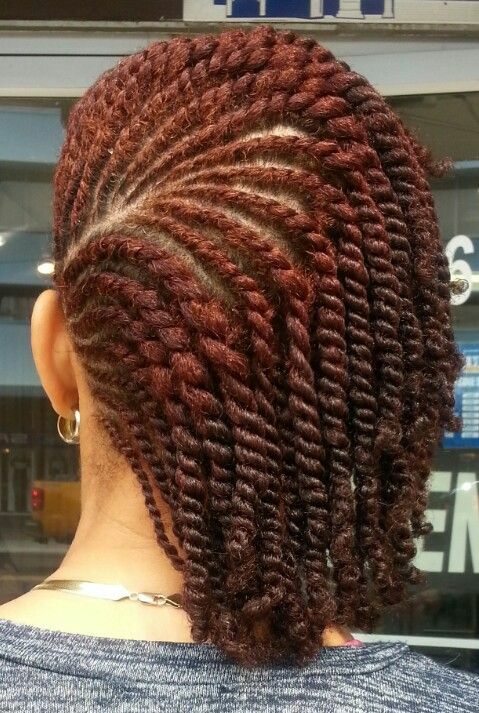 You can choose how many flat twists you would like to do. You can either do one more flat twist on the left side of the head, or you can continue on to doing the entire head. Once you’ve completed the hairstyle, it’s always a good idea to smooth away any fly-away hairs. This makes a huge difference and it helps keep each strand in place. You can choose to use a strong hold gel or mouse to keep everything intact. Use a soft hairbrush and gently brush the hair into position. Don’t feel upset if you don’t get the hang of this at the beginning. It can be tricky and the only way to perfect this hairstyle is by continuously practicing. It will eventually get easier and you will be able to do it in no time. If you feel that your hair is tangling while doing this hairstyle then make sure to remove any knots before continuing. This will make the process a whole lot easier and it will give a beautiful end result. Work with slightly damp hair for this hairstyle, it just makes it a tad bit easier. A great way to practice this hairstyle is to do it on others. What type of hair works best for this hairstyle? Essentially, anyone can do this hairstyle. Although, if you have African hair, then you’re at a great advantage because flat twists will work beautifully on you. Both short and long hair will work with this hairstyle, and honestly so much can be done. You can choose to leave your hair all up in a bun or you can even opt to leave it lose. It’s always fun to try out different hairstyles to see what looks best on you.